A selection of custom lettering work by Raseone. These vector drawings each represent extensive projects in which many styles & variations were hand sketched & digitally rendered. Custom Text Logo for Grimm Image Records out of Los Angeles CA. This label boasts some underground Hip-Hop music legends such as DeeSkee & 2 Mex, XololanXinco, Stereo 13 & other. This label uses an icon created for them by Shepard Fairey as their main logo. “Raquedan” Tattoo design for one of my brothers from another mother. 2013 Raseone. 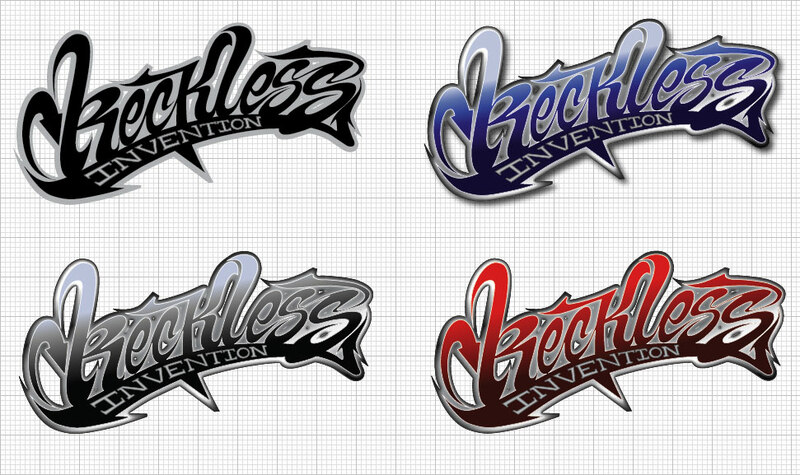 Reckless Invention – This logo was a parody of the iconic “West Coast Customs” logo as requested by the client. 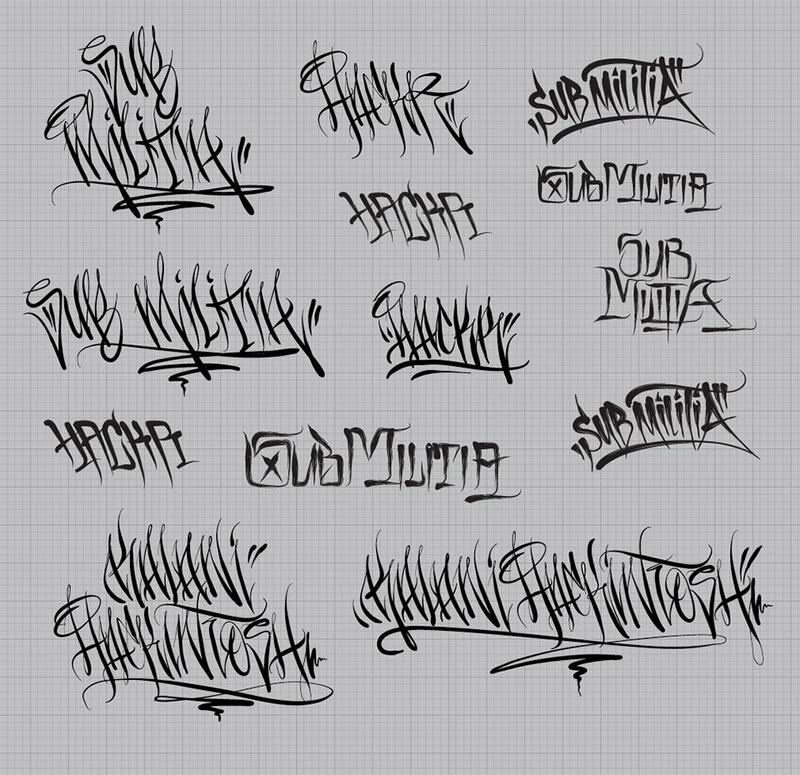 Various handstyles created as part of a custom lettering package the band “Sub Militia”. The package included several types of handstyles, wildstyles & scripts. Everything was hand-drawn or written then manually vectorized. TatGen.com is one of our web-apps. 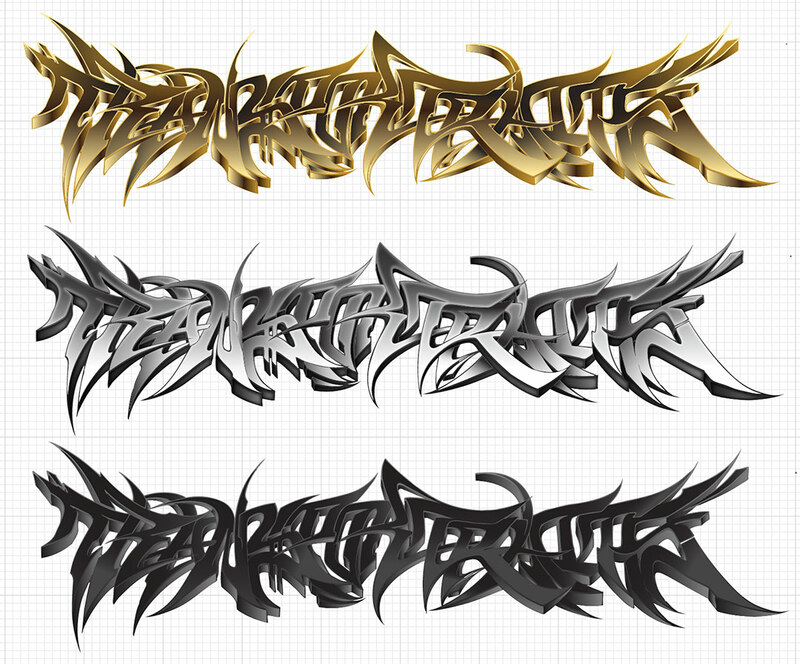 “Transportraits” I did these for Singha beer along with several other styles from tags to scripts & 3D pieces. Hi man! i wish to do my company logo like this in your website! (westcoast customs) what the price?? I really like your work and would like to know if you. An design me some for my business.